During the â€œTwelfth Five-Year Planâ€ period, Chinaâ€™s gear industry faces the historical development opportunity of adjustment and rejuvenation, and from big to strong, the entire industry will achieve stable development with an average annual growth rate of around 30% in the process of transformation and upgrading. It is estimated that by 2015, sales revenue of the gear industry in China is expected to exceed 250 billion yuan. There are teeth on the rim that can continuously engage mechanical components that transmit motion and power. Gears are toothed mechanical parts that can mesh with each other, and the application of gears in transmissions has been around for a long time. Gears are widely used in industrial applications and are an indispensable part of modern industry. Compared with developed countries, China's gear manufacturing industry still has the problems of insufficient independent innovation capacity, slow development of new products, disorderly market competition, weak corporate management, and low level of informationization. At this stage, through the market competition and integration, the gear industry has increased industry concentration to form a large number of large, medium, and small-scale enterprises; through the design and development of independent intellectual property products, a batch of leading companies in the drivetrain of vehicles have been formed, and the supporting capabilities of leading enterprises have been used. 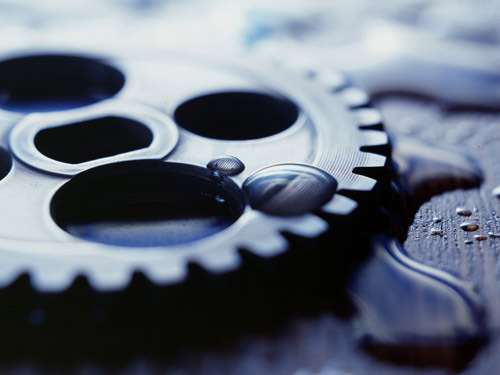 Integrate the capabilities and resources of the gear industry; achieve specialization and network support; form a large number of unique technologies, distinctive products, and brand-name companies with rapid response capabilities; and through technological transformation, realize the transformation of modern gear manufacturing enterprises. Luo Baihui, the secretary-general of the International Model Association, said that the middle and low gear molds can be produced at home, and high-grade gear molds rely on imports. There are not many factories in China that specialize in gear molds. Most of them use gear factories to make their own gear molds. Gear factories often set up a construction section or a workshop to take on this task. Such a development model has made it difficult to develop the domestic gear mold industry. In order to promote the better and faster development of China's gear mold industry, we must fundamentally resolve the issue of dependence, and strive to improve gear research and development techniques in order to better serve the domestic gear mold industry. The data shows that as of the end of 2012, the gear industry has an annual sales income of about 160 billion yuan, more than 1,000 production companies, about 400 companies above designated size, and about 300,000 employees. It is the largest sub-industry in the basic parts and components industry. After more than 20 years of continuous development, China has become a powerful gear country. It is estimated that by 2015, sales revenue of the gear industry in China is expected to exceed 250 billion yuan.